An interesting article on the effect that the presence of men has on laboratory rats and mice, compared with the presence of women. 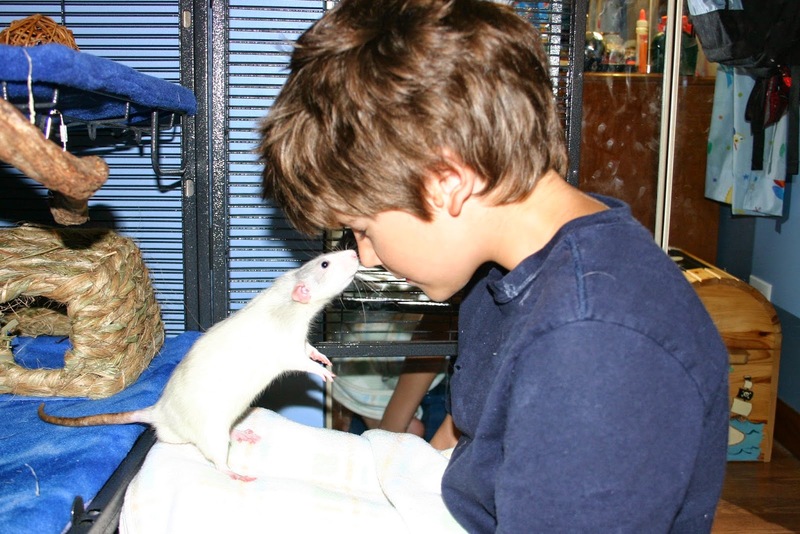 I, personally, have never noticed a difference in the way our rats react around my husband compared with around me, but the article does say that the effect diminishes with time, so maybe it is just an effect when they are getting to know you. I do wonder, however, if this effect plays a role in male vs female veterinarians. 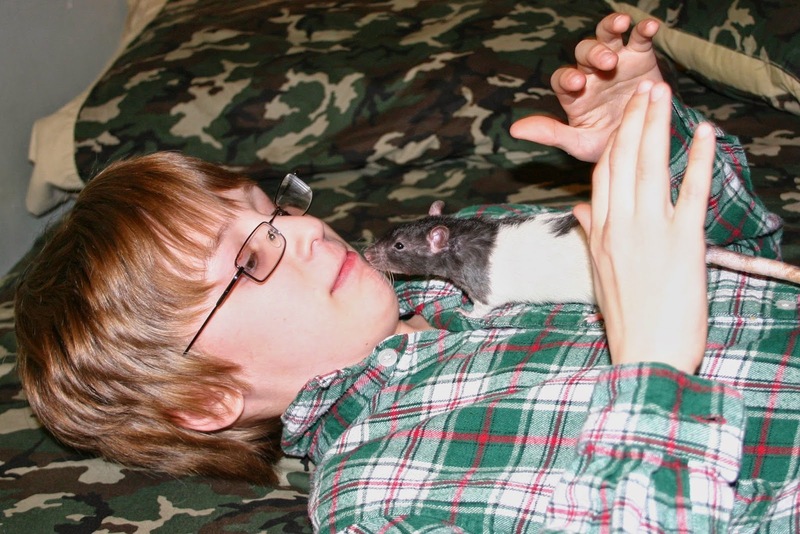 Would a rat be less stressed around a female veterinarian? Would he/she be more likely to experience pain around a female veterinarian? I am guessing the effect is insignificant compared with the stress produced just by visiting a strange location with lots of predatory animal smells. 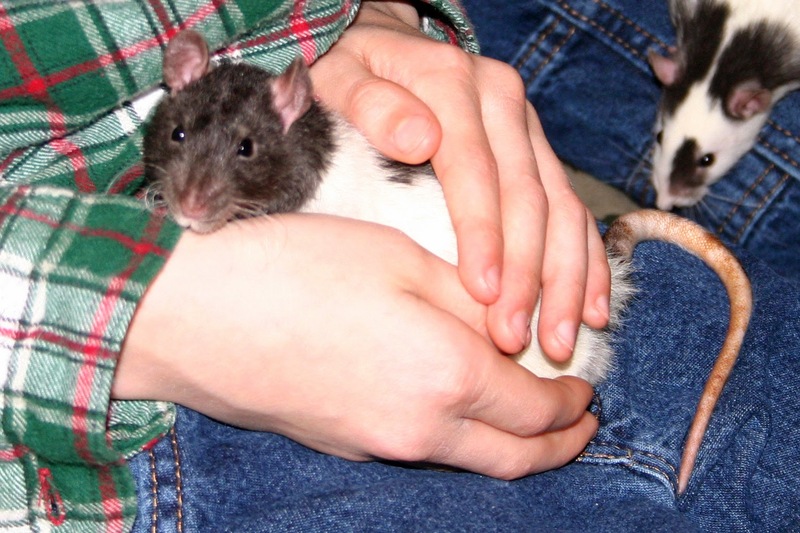 My rats have always been nervous visiting the vet, even though our veterinarian is a woman. I will say that I definitely notice this effect in one of our dogs. She is a very good guard dog, but it takes her a while to warm up to new people. It is much easier to get her to relax around women than around men. I think that is a pretty common reaction in dogs, so I can see it carrying over to rats in less obvious ways. Bela had to see the vet for the first time today. She and her sisters turned one year old sometime this month and with turning that corner comes the inevitable appearance of respiratory infections. This week, I started to hear the faint "rubber lung" breathing sounds coming from Bela that unfortunately mean a respiratory infection is starting to catch up with her. 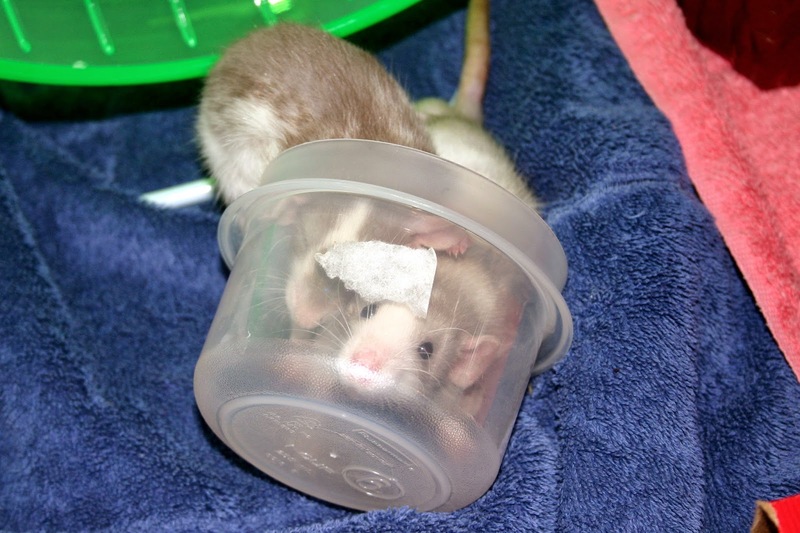 With that, come vet trips and the need for a good rat carrier to transport her in. (Bela is now on Baytril and Doxycycline and we will hopefully nip this in the bud). 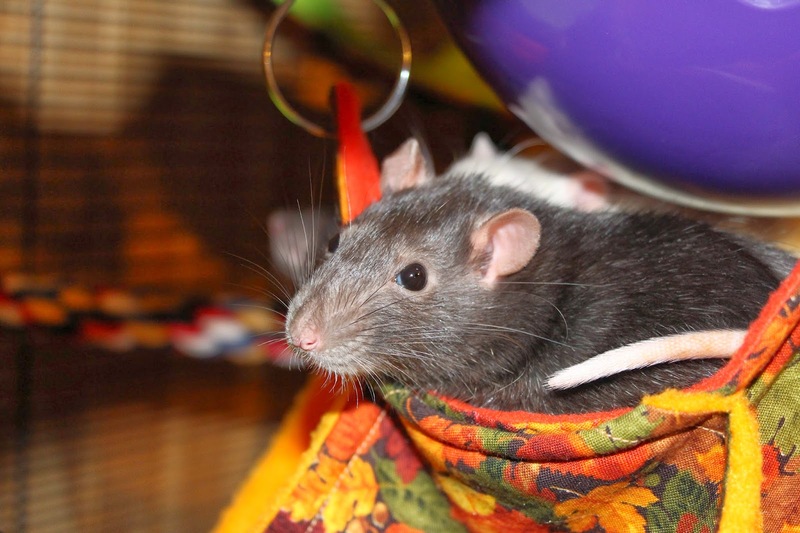 It took us a while to find a good rat carrier. 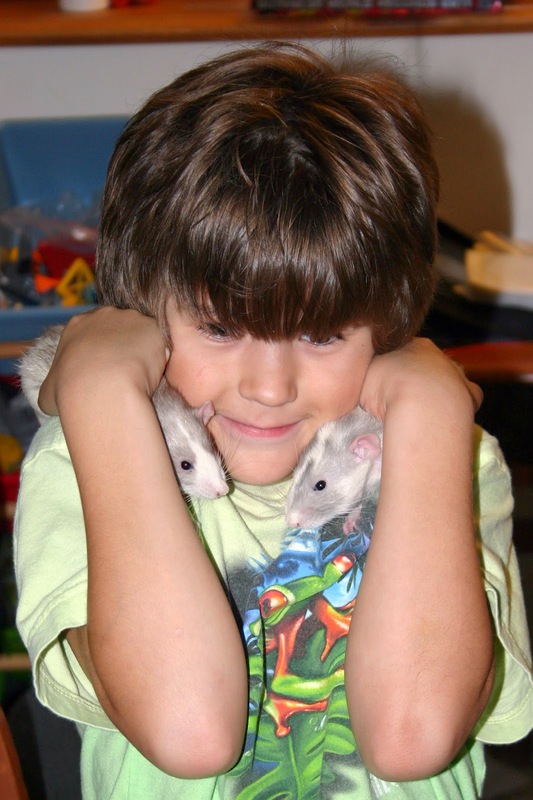 When we got our first rats, I used a small bird carrier I had on hand (similar to the one shown on the left). 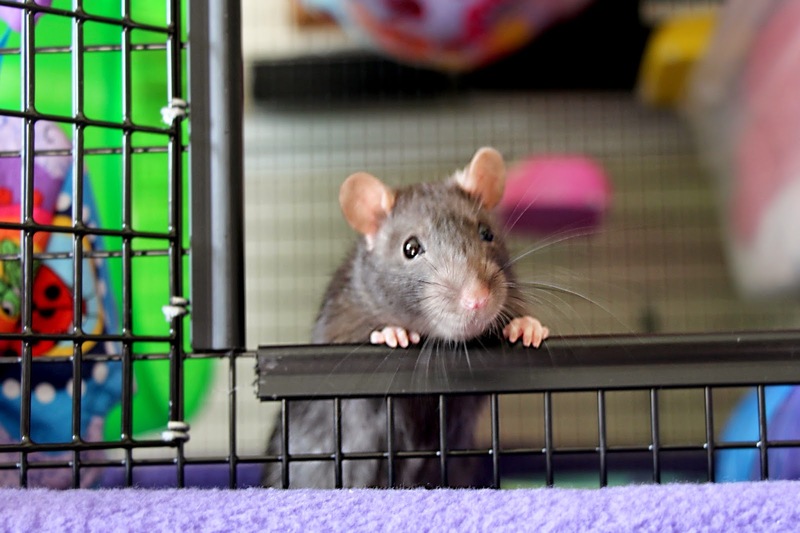 They are good for babies because the bar spacing is very narrow and the little ratties cannot escape. However, our first boys quickly grew out of that squirmy baby stage and into the big squish stage, and the little bird carriers were way too small. 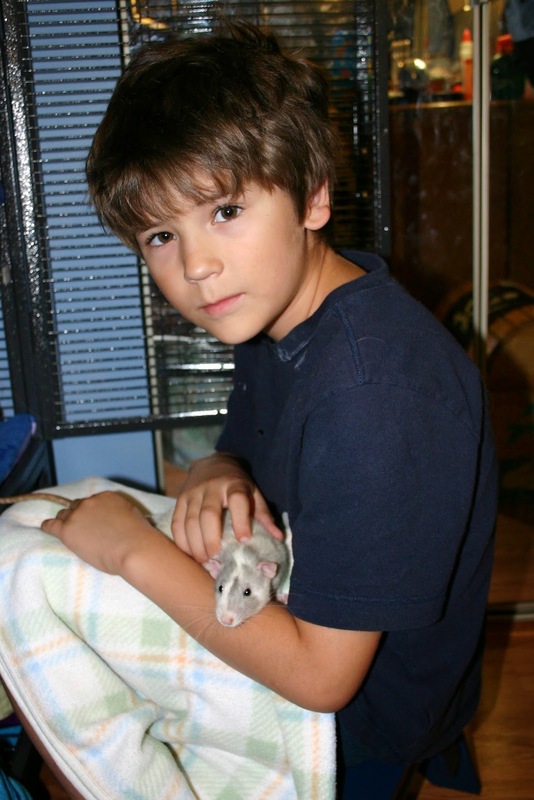 We looked at small animal carriers, but they all were either too small or made from fabric mesh that a determined rat could quickly chew his or her way out of. 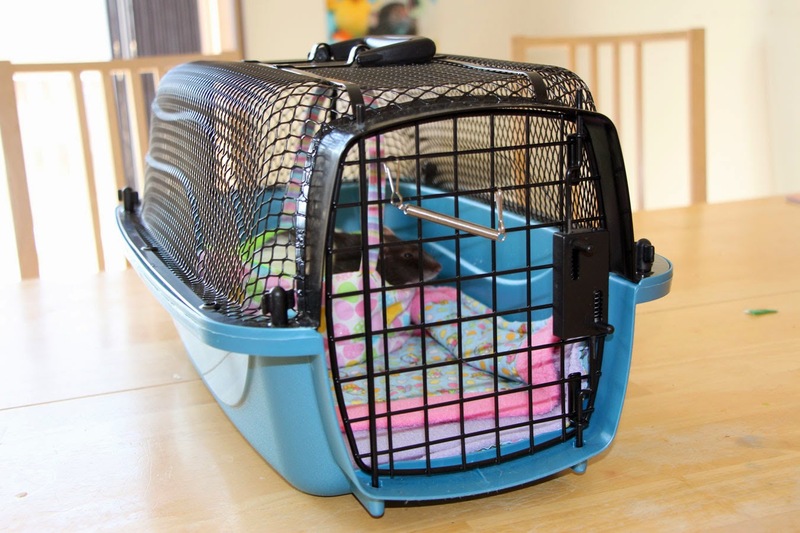 For a while, I made my own carrier out of a plastic bin, with the plastic cut out of the lid and a small wire panel from a bird cage zip tied over the opening. But this was only a temporary solution. The ventilation was not great and I don't think the rats felt comfortable inside. I saw a carrier like the one we currently have (pictured at the top and below) on an episode of iCarly that my kids were watching. 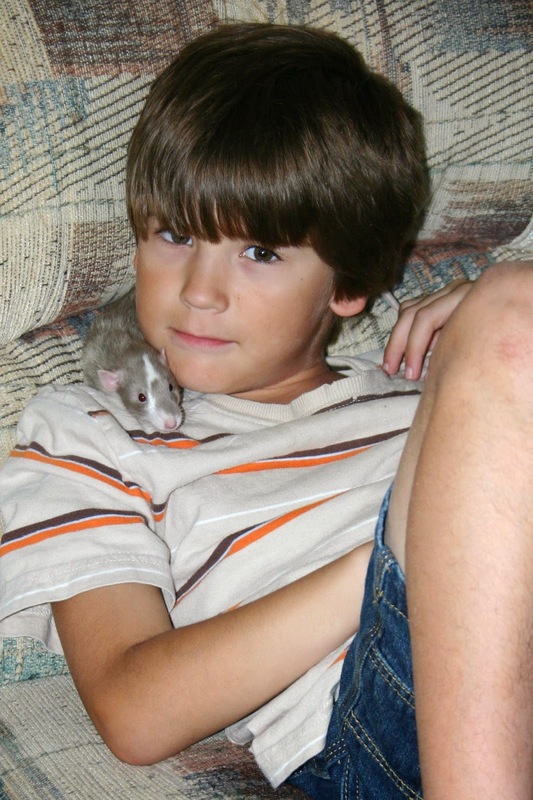 They were using it to hold a ferret and it looked perfect. But I couldn't find a small animal carrier like that anywhere. Turned out, I was looking in the wrong place. In fact, this is a small dog/cat carrier. I found it by accident at Petsmart when they were stacked against the back wall in the clearance section (Petsmart no longer carries this model). I would never have thought to look for it in the dog/cat section. 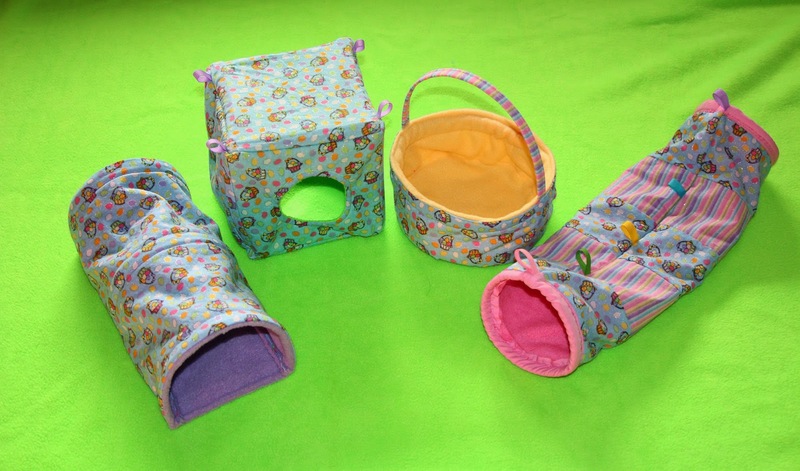 It is the Petmate Look 'N See Kennel and it is still available from Amazon. 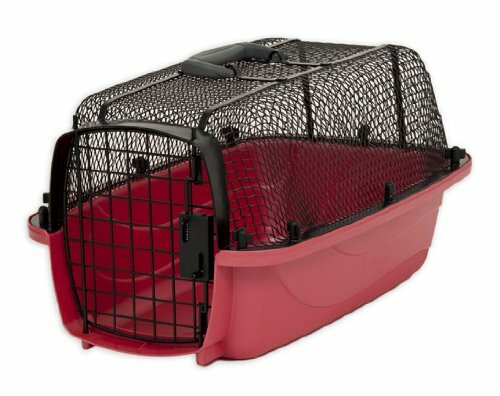 Of course, in retrospect, it makes sense that a cat carrier would make a good rat carrier, as long as the openings are not too big for a rat to squeeze through. I just never thought to look in the cat section. 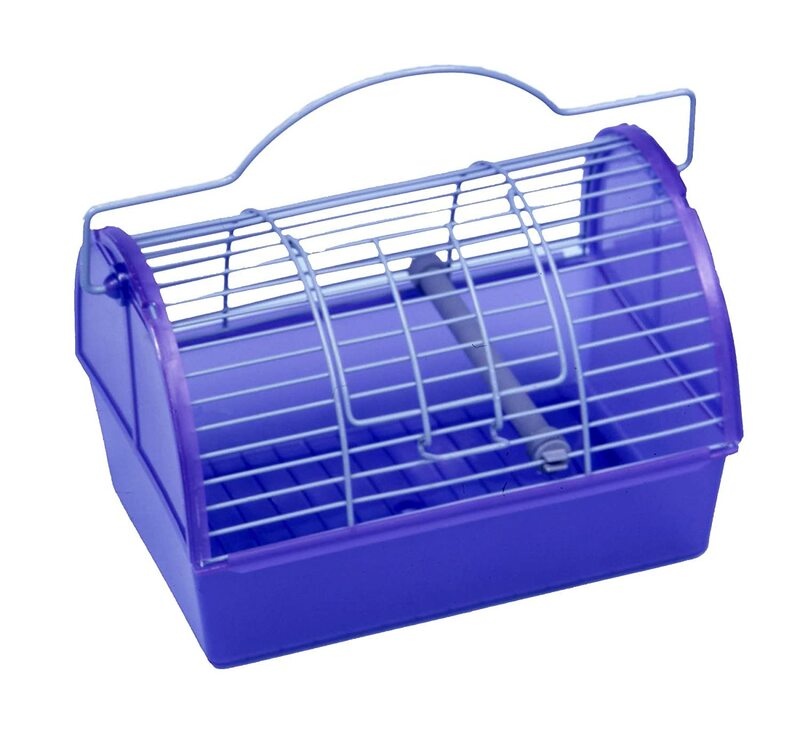 And I like this model especially because of the all metal wire top, which provides the good ventilation that a rat needs and which cannot be chewed. 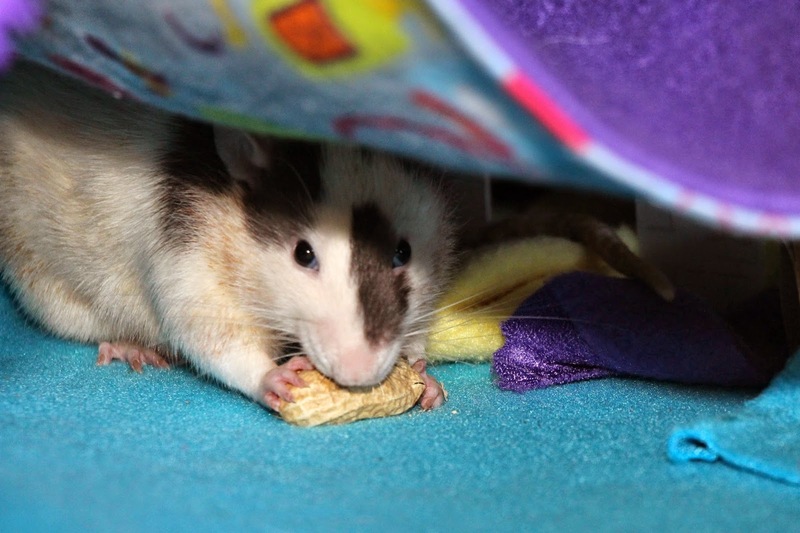 There are also no exposed plastic edges that a rat could chew on. 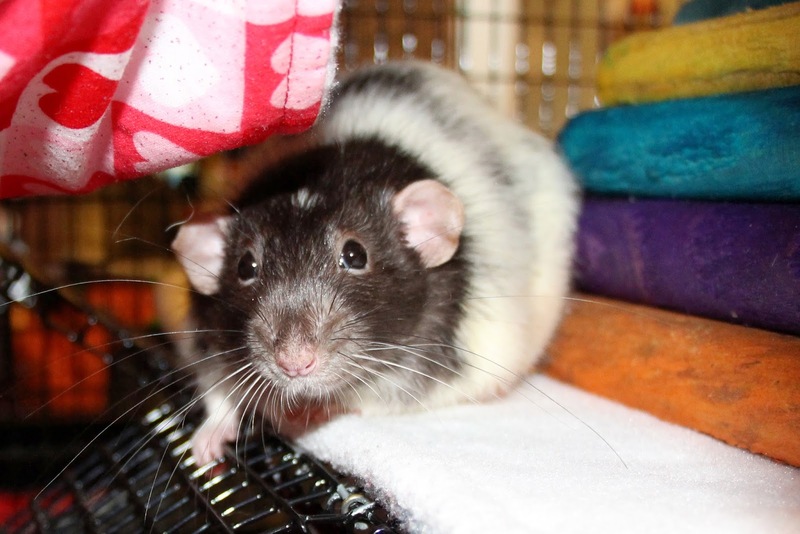 It is the perfect size for rats - large enough for a couple of rats for a short period of time but easy enough to carry around at a vet's office. 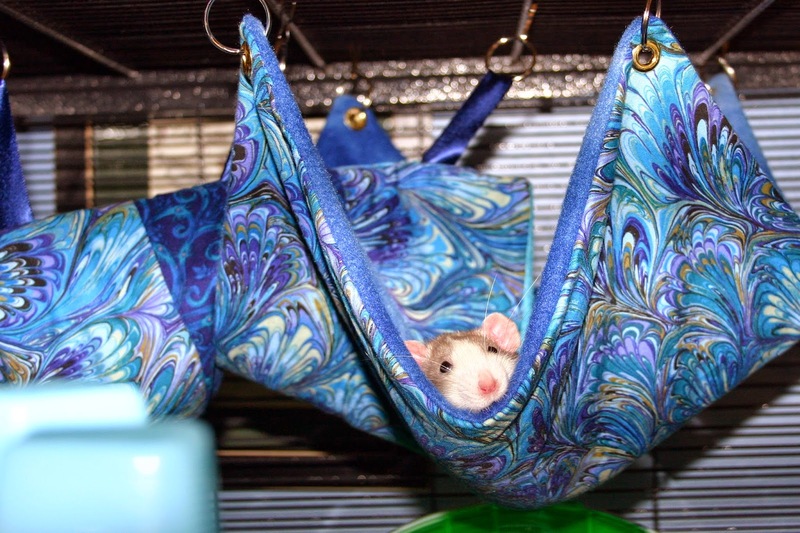 The smallest babies may still need a smaller carrier until they are big enough not to squeeze through the door openings and if you are taking a long trip you may need a larger transport cage rather than a carrier, but for juvenile and adult rats and quick trips to the vet, this carrier is perfect. 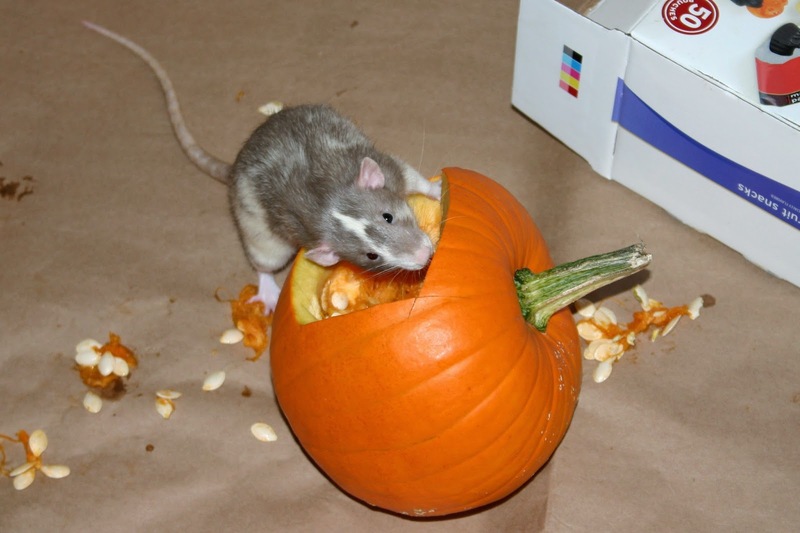 Rats and Do-It-Yourself projects go hand in hand. 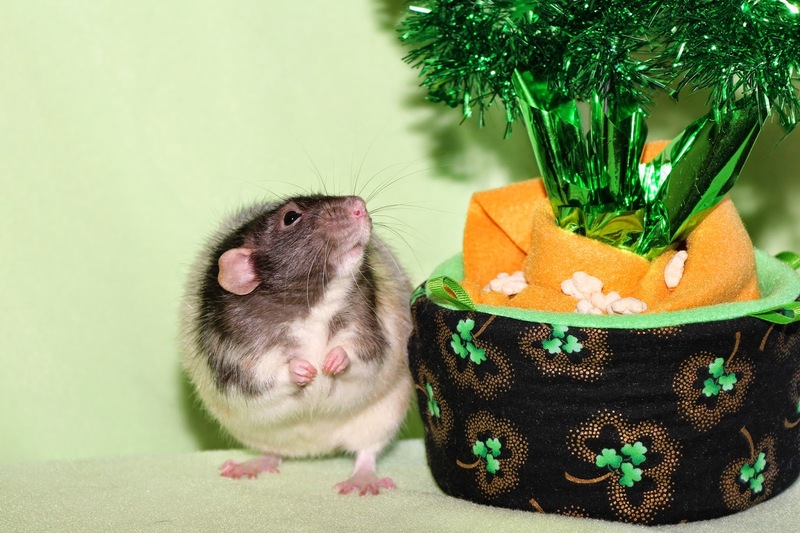 Many commercial rat toys/accessories are expensive, often unsafe for the animal they are intended for, often sized wrong, and tend not to last long. Ordinary household items/recyclables often work just as well or better with a little craftiness and a creative mind. 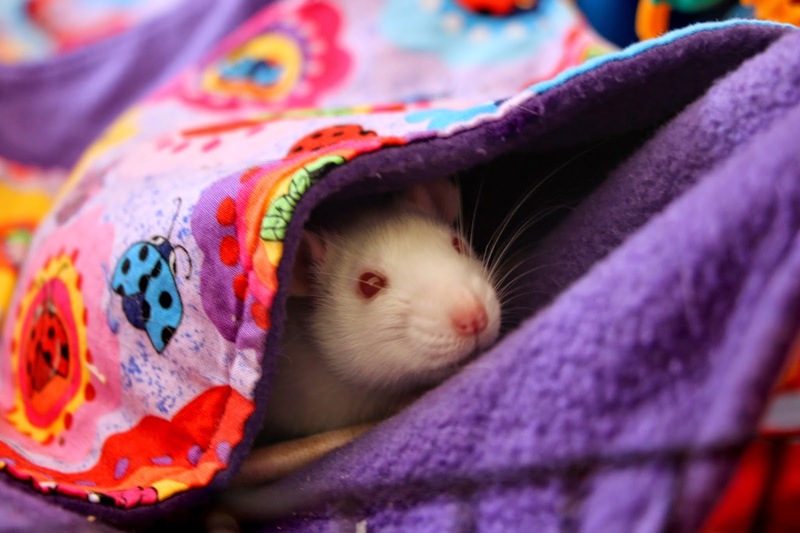 There is now a Facebook group for sharing your own DIY projects, whether you just want to share what you've made or share tutorials showing how to make them: Crafty Rat Owners DIY Facebook Group. This is a great place to find new ideas for adorning your cage and for learning to make things you would have never thought of on your own. 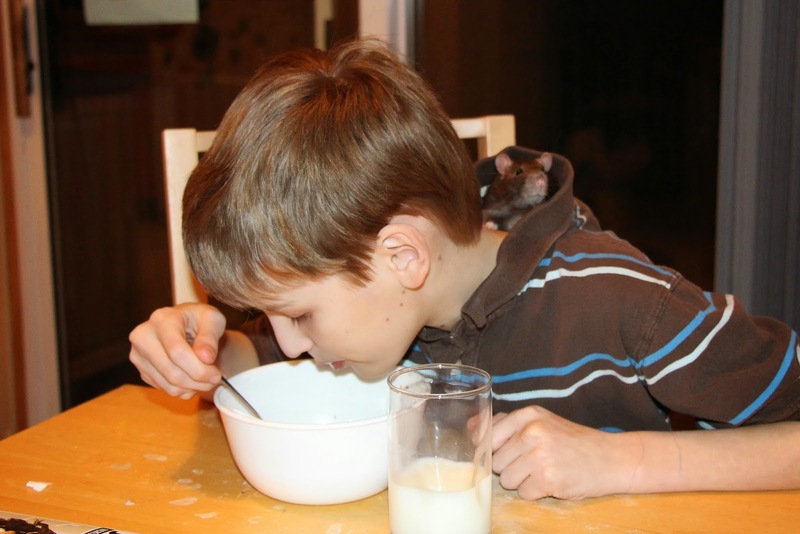 It is also a good community for sharing what you have done with other like-minded rat owners. 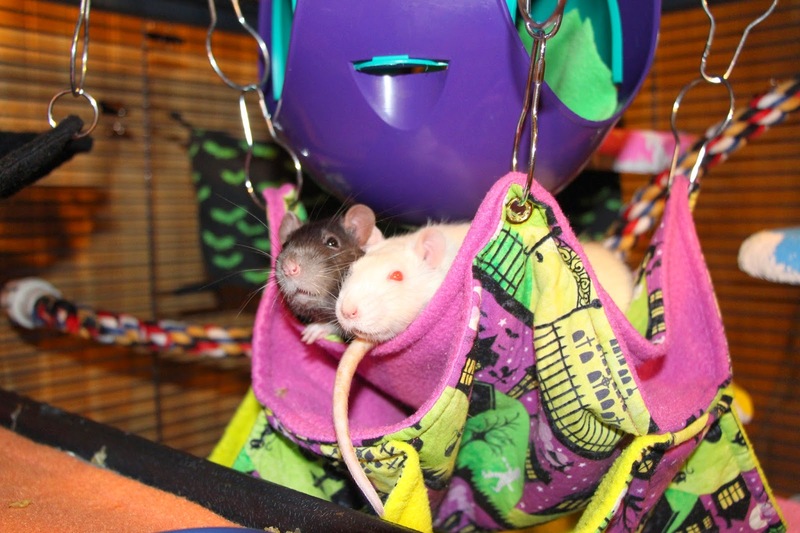 The group includes everything from sewing projects, to crafts, woodworking, cage building - anything that you make yourself for the good of your ratties. 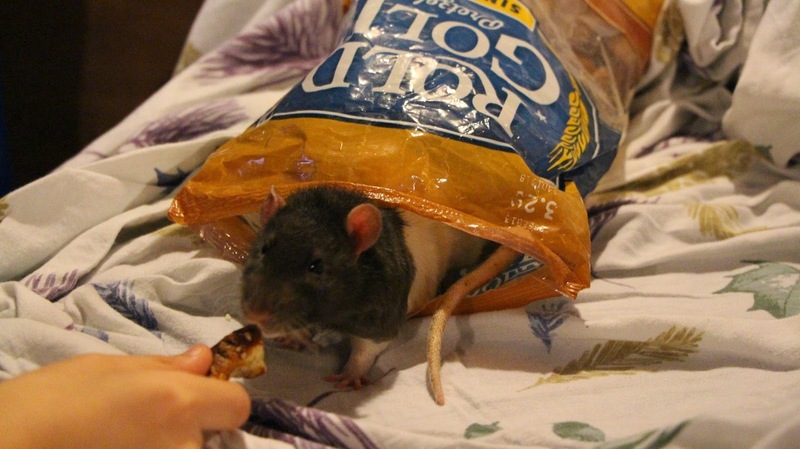 Happy World Rat Day 2014! 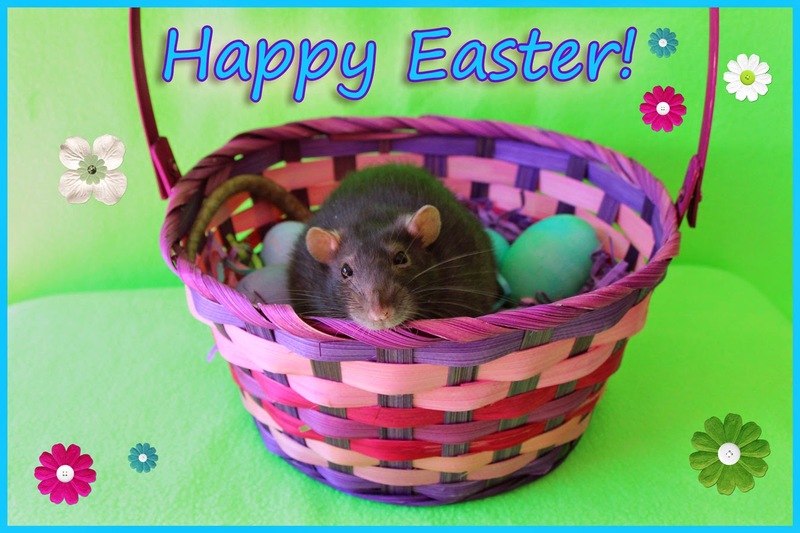 Pirate and Bela - He Loved His Girls! 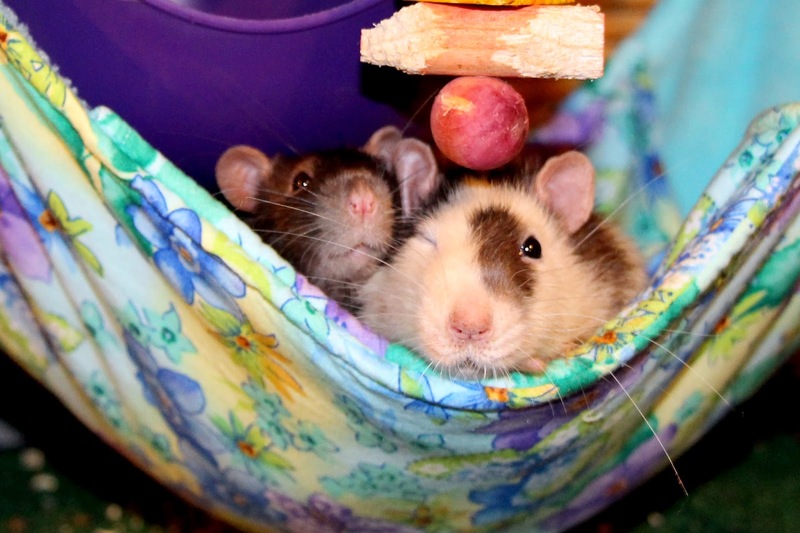 Bela and Ruby are Best Buds! Jo is Definitely Not Shy! I'm Pretty Sure I Smell Food!